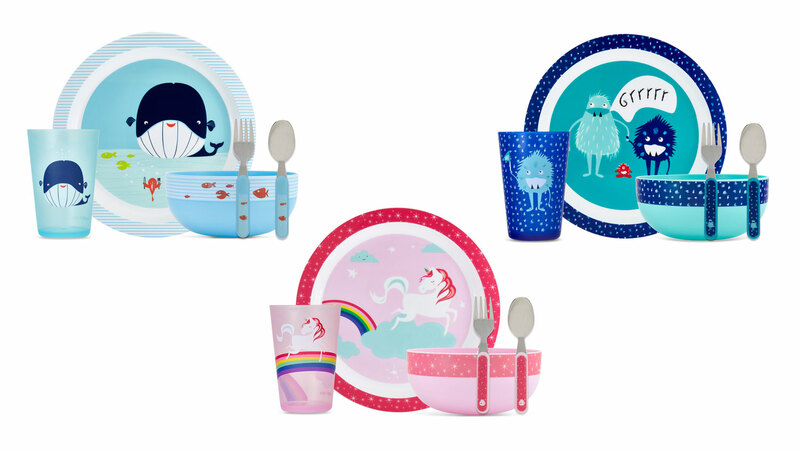 The host and cookbook author's new line of children's tableware benefits No Kid Hungry. Ayesha Curry's favorite recipes: "My grilled spiced rubbed chicken with parsley mint sauce is always a household fave. As well as my fragrant lamb burgers. Both are so easy and can be made indoor or outdoor in the summer! Both can be found in my book The Seasoned Life." Her favorite aperitifs and cocktail hour hors d'oeuvres: "Anything with bacon and I love a good cocktail with Lillet." Her favorite ingredient right now: "Mango! My grandmother had mango trees in her backyard when I was a child. So it's always been an ingredient that I'm familiar with. It can be used in SO many ways. My kids absolutely love it for a snack or in a savory dish." Her favorite night out: "We enjoy going out to sushi or getting tapas at a local Spanish restaurant when we want to stay close to home." What's on the menu on a typical night in the Curry household: "My kids love to eat fish and rice, so we usually we have some grilled or baked fish with rice and fresh veggies from our garden." Favorite splurge? "A good cut of steak is always a go-to splurge." Her hobbies: "I've been heavy into gardening this year! We're very blessed in the Bay Area because it's quite easy to start a garden. Organic soil, fertilizer and a lot of love are key. I think it's important for children to know where their food comes from and how much work it takes to produce the items we eat in our home. This is the perfect way to hands-on education." Her favorite childhood dish that she still loves to make now: "My mom's jerk chicken and my grandmothers Escovitch! They always bring me back to my childhood. Shrimp and grits is a dish that I enjoy from North Carolina. 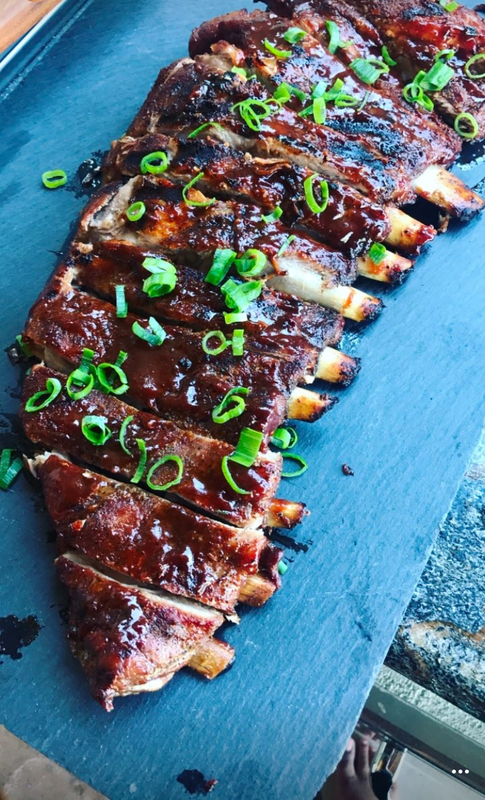 It's one of those dishes that is so rich in flavor and texture. But my Jamaican and Canadian roots are the comfort food that I always crave!" On her collaboration with Cheeky: "I partnered with Cheeky based on a void in my own personal life. My youngest daughter Ryan, now 2, was just starting solids. I couldn't find anything cute and chic, but still completely functional on the market. When I was approached by Cheeky to not only be a brand ambassador, but also a co-founder of Cheeky Kids who was going to have a say in the designs, patterns, and functionality, it was a no-brainer for me. I love that I get to be creative. More importantly, I love that Cheeky, Cheeky Baby, Cheeky Kids and Cheeky Go give back with every purchase through our partnerships with No Kid Hungry and Feeding America. Together, we are inching one step closer every day to ending the fight in childhood hunger." Her kids' favorite pieces from the Cheeky collection: "Riley loves her Cheeky Kids "Cherry" lunch box. She takes it everywhere! And Ryan loves Cheeky Kids' "Wilma" the whale character." What to look out for in the future! "My cookware line is coming out in the fall. My absolute dream come true! And my meal kit "Cook Homemade" launched in the spring. I hope to bring fun, laughter, and love to the dinner table again." 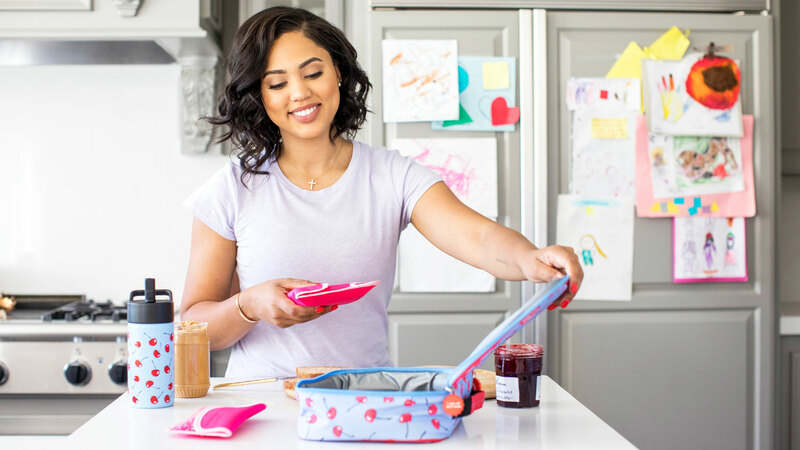 Ayesha Curry’s Cheeky Kids products are available at Target stores now.